Traditionally, hard drives have always favored function over form, with speed and storage capacity serving as its most enticing facets. But thanks to the introduction of the external HDD, the portable storage script has been flipped. Seeing as how consumers are now seeking the most attractive hardware options with great performance specs, tech companies are placing a huge focus on design and aesthetics, in hopes of appeasing today’s fashion-conscious tech crowd. 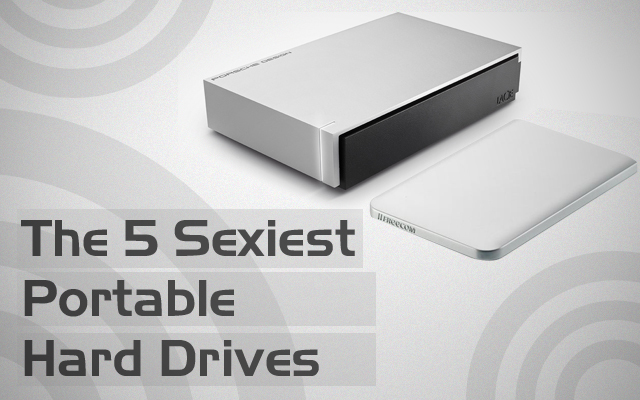 So keep your data and style intact by checking out the 5 Sexiest Portable Hard Drives. For the mobile professional looking to stay geek trendy, the FreeAgent GoFlex makes for the perfect accessory. Manufactured by data storage veterans, Seagate, the slim storage device sets itself apart from the sea of external HDDs by offering Firewire, eSATA, USB 2.0 and 3.0 swappable docking cables. Besides stretching its memory options (320GB, 500GB, 750GB, 1TB, and 1.5TB version), the GoFlex also flaunts four colors: including black, red, silver, and blue. So you can take it from the boardroom to the streets and still look fresh. The Oregon-based hardware manufacturer went the extra mile by teaming with the lead designers of the automotive juggernaut, Porsche, to create the P’9220. 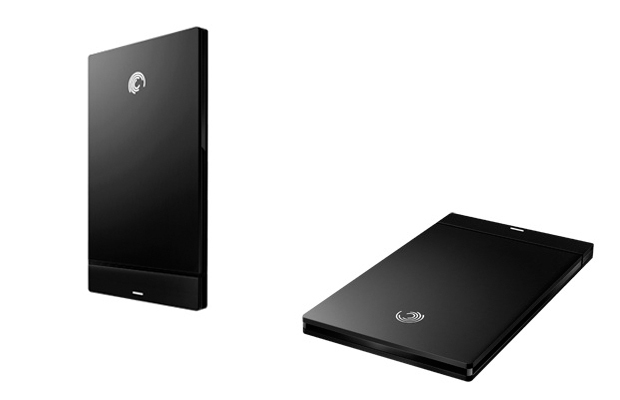 The brushed, aluminum chassis device homes 1TB to 2TB of storage ala desktop models, while offering 500GB for laptops. 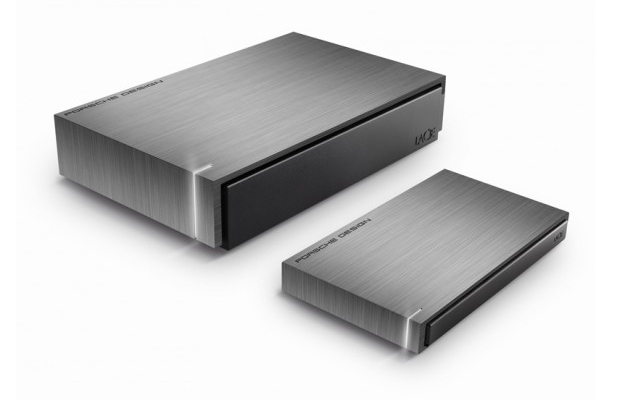 Both versions welcome equally attractive USB 3.0 and 2.0 compatibility for speedy data access, but its the sleek, minimalistic fashion that serves as the selling point for the Lacie drive. 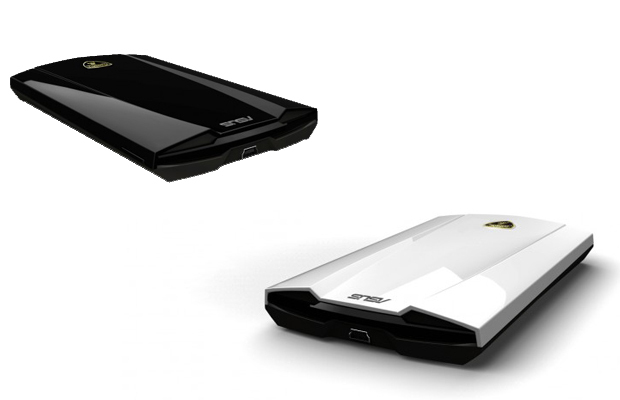 When it comes to form over function, the Asus Lamborghini special edition drive holds the crown. Featuring the distinctively smooth Lambo geometries and jet-black finish, the external drive is a pretty standard affair. The 5400 rpm/500gb or 7200 rpm/700gb offerings may not mirror the Diablo-inspired exterior, but best believe it operates at a fast acceleration. The USB 2.0 versions start at $119 and $139, while the pricing for the quicker USB 3.0 versions have yet to be announced. But with the Lambo imprint attached to the storage saver, expect to pay the premium. 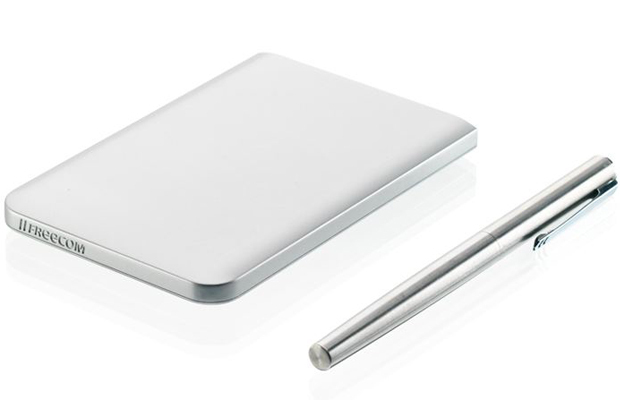 The Mobile Drive Mg is an ultra-portable storage device exclusively designed for Apple’s laptop line-up. The magnesium body was crafted to compliment the stylings of the MacBook, and if you couldn’t tell, the results bare a pretty uncanny resemblance. Measuring in at a mere 1cm thick (that’s thinner than the average pen), the USB 3.0 compliant HDD is also the world’s thinnest drive. Six versions, ranging from 320GB to 1.5 TB are currently available, as well as U&F models, which offer additional connectivity via FireWire 800. OCZ took its ginormous portable HDD and shrunk it down to size by giving its form factor a huge facelift and removing the mechanical parts. Being one of the industry’s leading Solid State Drive manufacturers, the Enyo mirrors the lightning quick performance of OCZs Vertex and Agility line of SSDs, while boasting full USB 3.0 compatibility, mobile portability, 128GB of storage, and a slim, chic aluminum finish. 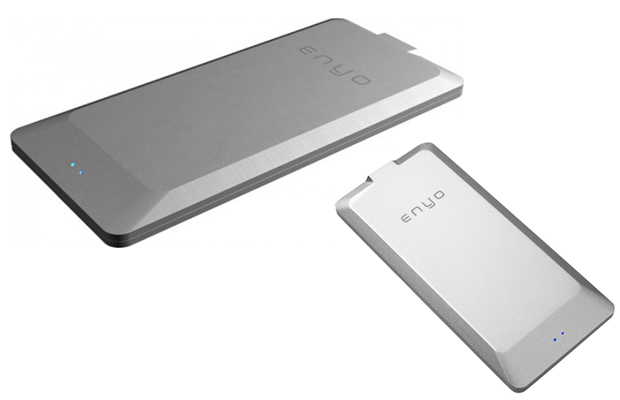 The Enyo comes in three flavors: a 64GB, 128GB, and 256GB priced at $175, $279, and $667 respectively. They may be on the pricey side, but nothing this good looking ever comes cheap.